Please join us for Community Day at Office Depot. 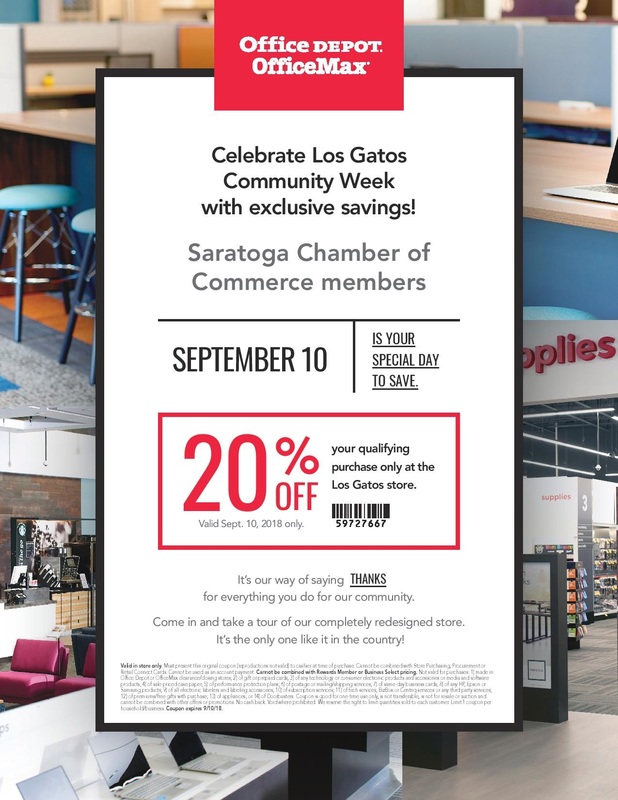 This event is for all members and prospective members of the Saratoga Chamber of Commerce. It is an excellent opportunity to meet one of our newest members and their staff. And get a tour while you learn more about their Coworking spaces and dedicated desks as well as drop-in desks available to you. They will have light refreshments, beverages, cake, and some great SCoC member discounts and a raffle!